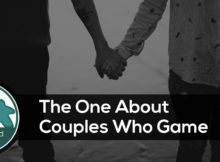 This week Ric, Bob and Ryan talk about gaming with their spouses along with the games they've been playing. 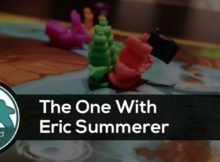 Bob takes time to review Gizmos from CMON Games. 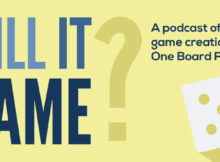 We're pitching board games based on 80's TV shows this week to our guest judge Tony Henderson of the Geek Versus Podcast. 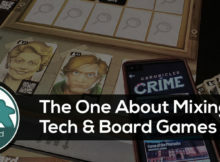 This week we chat about the mixing of digital technology and analog gaming. What happens when a pair of acrobats come on the show as guest judges? 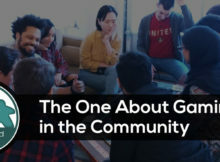 Listen and find out where we go wrong. 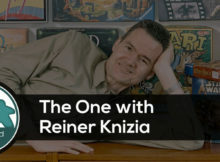 We sit down with the incredible designer Reiner Knizia to talk about his career in the industry, the globalization of gaming and insight into his newest creations. This week Ric and Ryan kick it retro style with NES themed games with our guest judge Josh Mills.